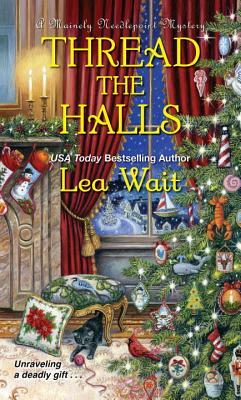 This Yuletide season, there's no time for Angie Curtis and Patrick West to linger under the mistletoe. Patrick's being needled by his mother—movie star Skye West—to set the stage for a perfect white Christmas as she brings her costar, screenwriters, and director home for the holidays. With his mother's long list of wishes, Patrick's becoming unraveled. To help, the Mainely Needlepointers offer to decorate Skye's Victorian mansion and create needlepoint pillows as gifts for the guests.